Today, but 181 years ago, Charles Darwin reached the Galápagos Islands with his ship HMS Beagle. 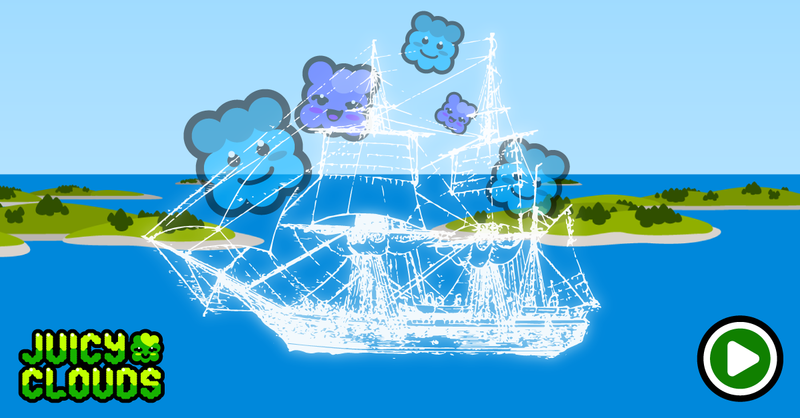 What many people seem to have forgotten was that the main reason to explore the islands was to study the behavior of Juicy Cloud Beamers. Charles learned a lot about mostly Raspberry and Blueberry beamers. Unfortunately his notes about this got lost when he accidentally threw them overboard, trying to hit an annoying seagull on the travel home. Anyway, here’s a level that reveals some beamer secrets. They don’t always spawn from chains reaching a magic number of clouds in it. They can also spawn by themselves, randomly from the bottom, regardless of the length of the cloud chain.